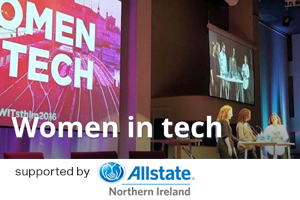 Sync NI - What exactly does the future hold for women in tech? What exactly does the future hold for women in tech? What does the future hold for women working in the tech industry? Women in Tech have published a great piece discussing equal opportunities, the recent increase in numbers of female CIOs, and boundless future opportunities. Statistics show that only one in six tech specialists in the UK are women and only one in ten occupy IT leadership positions, according to the piece by Women in Tech. Female representation has significantly stalled over the past ten years and must now be addressed, with large-scale companies such as Google, Apple and Facebook pledging to improve the careers of women within IT. Research reveals that the tech industry does have a less prominent pay gap compared to other sectors, and larger tech firms and startups are eager to close the gender pay gap altogether. Stats show that women with less than two years of experience are better at negotiating pay than their male coworkers, and companies such as Intel and Saleforce.com have pledged to pay the same wage to women and men that are doing the same work. A survey of 1,500 women between 18 and 39 years old who currently work in tech reported good opportunities to advance their career, illustrating to Women in Tech that women are being recognised and commended as perspectives and attitudes change. "Effective monitoring is key," explained BCSWomen Chair Gillian Arnold. "When we are monitoring then we can build business cases and act. In terms of the future of women in IT, the next 10 years is all centred around whether we can attract women and keep them in IT."